REUTERS, 22nd AUGUST, 2018 - Thai police have seized more than 14 million methamphetamine pills worth 1.48 billion baht ($45 million) that were bound for neighbouring Malaysia and beyond, authorities said on Tuesday, in one of its biggest ever drug busts. Police said that the orange pills of methamphetamine, known as “yaba” or “crazy drug”, were seized in Ayutthaya province, north of Bangkok, on Aug. 18. Three Thais were arrested in connection with the seizure, police said. The drugs came from Shan State in northeast Myanmar, in an area under the control of an ethnic Wa militia force, police said. The Narcotics Suppression Bureau displayed the haul, neatly packed into large container bags, at their headquarters. 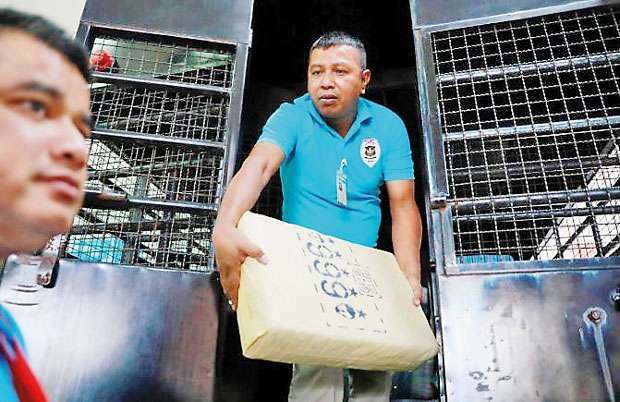 Bureau commander Police Lieutenant General Sommai Kongvisaisuk said the drugs were destined for Malaysia and then on to markets around the world.